We spent more or less the entire day behind our computer screens. Though I managed to get quite a bit of work done, even more flooded my inbox during the course of the evening (read: business hours in the USA). It looks like we'll be staying an extra night, hopefully allowing me to race ahead of the avalanche. When we weren't busy typing away, we wandered around Herkalion snapping photos, trying the local cuisine, and enjoying the weather. 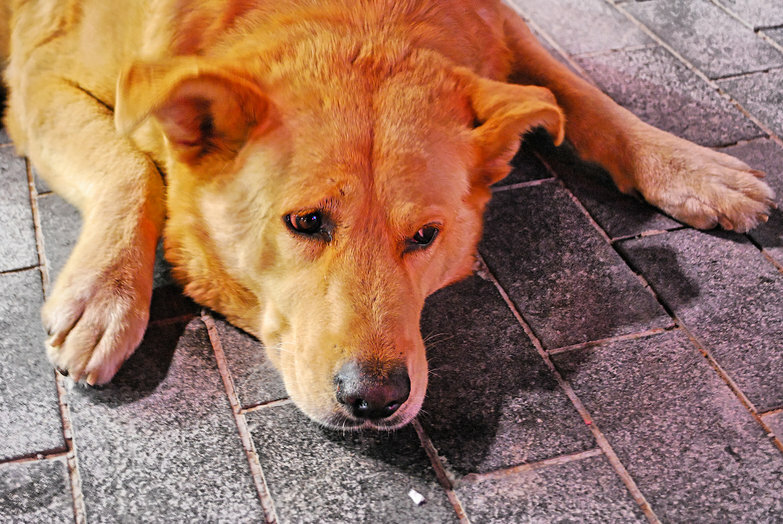 This gigantic, sad-looking dog was laying in the middle of the sidewalk every time we left our hotel. Nobody paid him any mind. We think maybe he was sick because he hardly responded when we petted him. :( Poor thing. Tara is excited to be in Greece because two of her favorite things: cheese and pie, are a popular combination here. 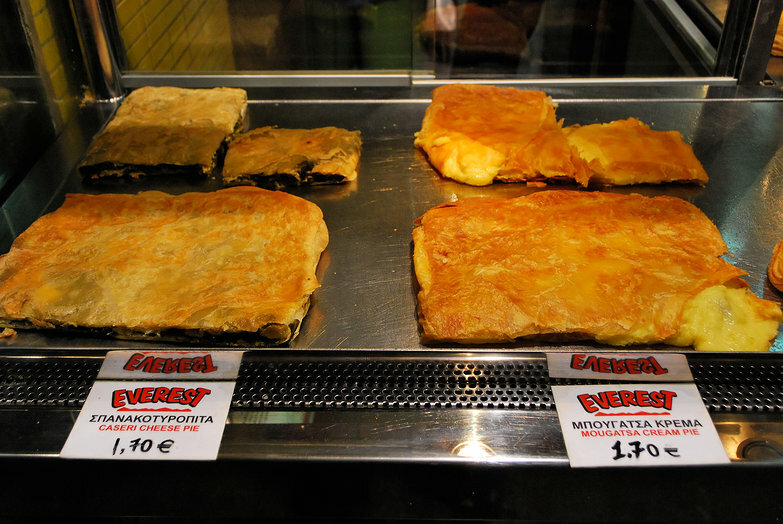 So far we've tried spanikopita (spinach and cheese pie), tryopita (a sweet triangle of pastry filled with cheese), and the Cretan specialty, Bougatsa, which is cheese or pastry cream between two flaky layers of crust, cut into strips, and covered with cinnamon sugar. The areas we've passed through in Greece so far are rife with shopping opportunities. In addition to the useful places like grocery stores found on almost every block, there are also lingerie shops and party stores everywhere. Add to that lots of chain restaurants and somehow more pastry and coffee-shops than Italy and France combined; the service industry here is huge! 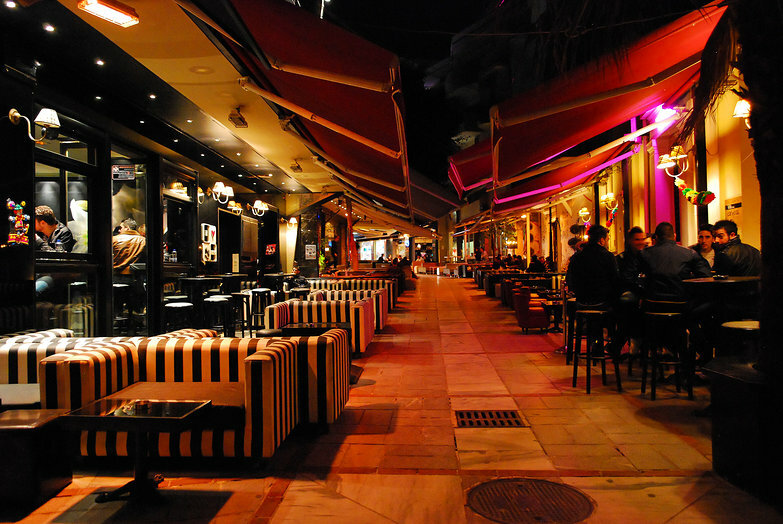 Herkalion in particular seems to specalize in sparesly patronized, posh party clubs. Its streets are filled with them! 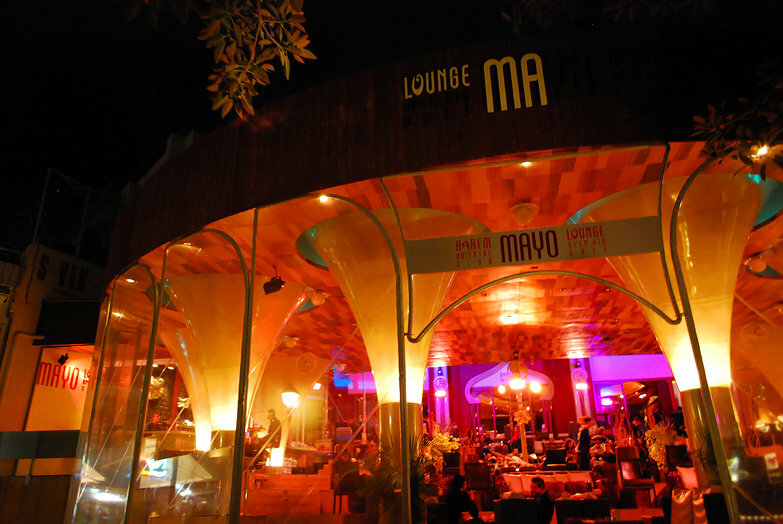 After spending so much time in Tunisia it is very strange to see so many, how to put this …useless establishments. 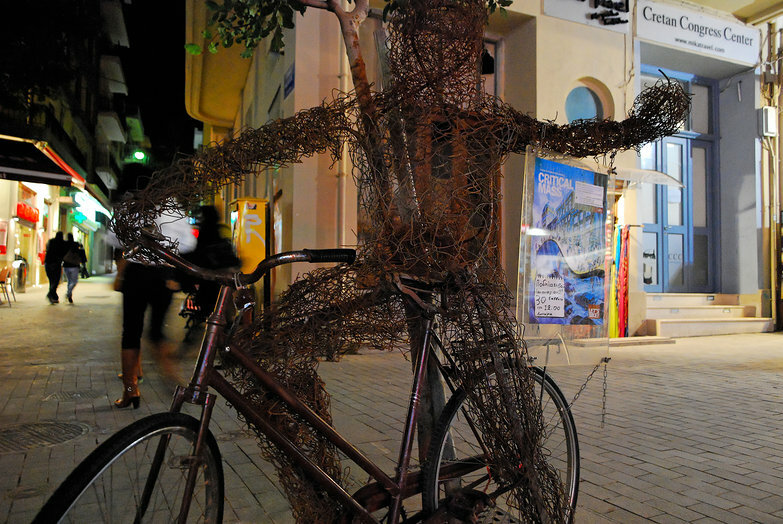 I didn't know they had Critical Mass in Greece! Cool! 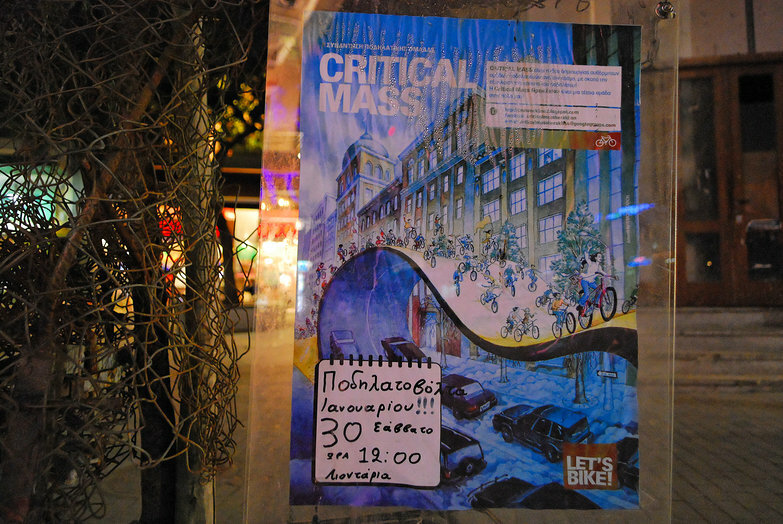 I'm really curious about the Critical Mass poster. Do you think it was for a local event, or a film about Critical Mass? RE: the abundance of clubs. I think they must have a huge party scene when the weather and water warm. I remember being in Crete 17 years ago in September. It was packed with tourists. I can imagine even moreso now with the likes of Ryan Air shipping in crowds super cheap all year round. Hmmm, I'm not sure. I think it's for a local event though! 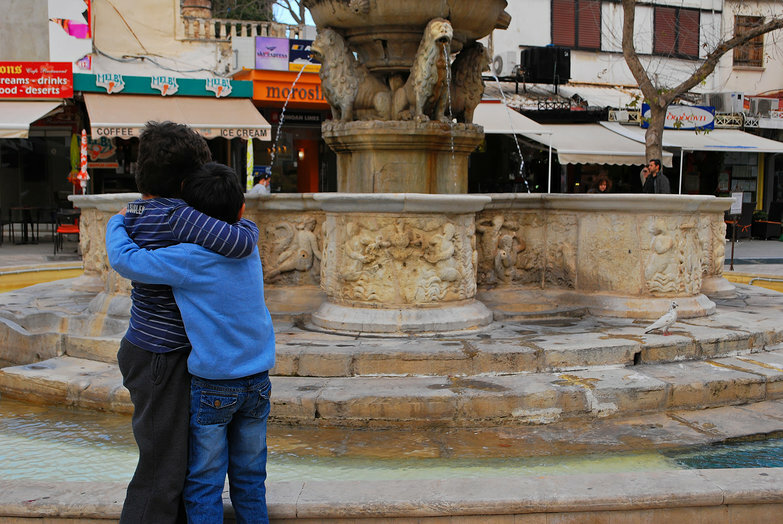 We have since moved on from Iraklion and LOVE the rest of Crete-- the parts not catered for party-goers. ;-) Thankfully we are here in February, otherwise I'm sure even the remote places would be swamped with people! Just a note on the dog.